At Hotel Kristina we always have the environment in mind and do our best to have as little impact on it as possible. Hotel Kristina is the first conference centre in Greater Stockholm to have attained 2 KRAV certifications for food and drink! To be able to boast about this, at least 50% of the restaurant’s annual procurement must consist of approved foods. “It has long been our aim to get up to at least 50% approved foods, and we are really proud and pleased that we have now succeeded in doing that,” says Tobias Strömberg, chef. “The hotel’s catchwords are “vibrancy, culture and sustainability” and we call ourselves an "Art-Eco-hotel"! This concept involves us having regular art exhibitions and cultural events at the same time as we work actively to attain sustainability. The fact that we now have two KRAV certifications is a huge step in our environmental efforts, but we are looking forward to an even greener spring,” says Andreas Olsen, one of the owners. Can you imagine how proud we were when we won the Ekoutmaningen 2015 environmental challenge in Sigtuna municipality, for the hotel and conference category? We were awarded an impressive certificate at the EcoGala that was held here at Hotel Kristina. Fantastic that the municipality, the Swedish Society for Nature Conservation and the EkoMatCentrum resource centre for sustainable consumption at all stages of the food supply chain should have put on the Ekoutmaningen jointly and that they should showcase good organic examples in the municipality! In November, we also collected Sigtuna municipality’s “Social Award for 2015”. This is what the nomination for the award said: “For many years, Hotel Kristina has worked diligently with interns from both the Arlandagymnasiet upper secondary school and Sigtuna municipality’s adult education. The students feel welcome, and have a great opportunity for personal development in a supportive environment as well as acquiring expertise in their future profession. Many students were later offered jobs with the company. 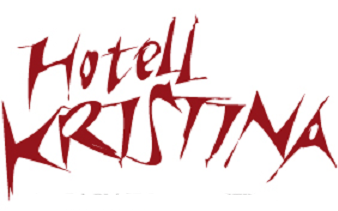 Hotel Kristina engages in a series of issues and is an active player in Sigtuna municipality. Their interest in the community around them is an inspiration to others to take more social responsibility.” We are so delighted and proud to have received the award, and thank our fantastic staff who made it all possible! Hotel Kristina also has the SVANEN Nordic Ecolabel. Some examples of this are that we only use green electricity and our guests can charge up their electric vehicles at our hotel. Our latest addition in aid of the environment is bee-keeping! Sigtuna, Stockholm Arlanda Airport’s municipality, has achieved a new record in terms of additional visitors. As Sweden’s fourth-largest hotel and conference destination, tourism now brings a further 300,000 new bee-guests into our first 12 beehives spread out among 10 players, of which Hotel Kristina is one. Together with the local company Biman, we are contributing to the creation of a richer flora and locally produced honey. We work actively to reduce our impact on the environment and to promote environmentally-friendly measures. We compost our kitchen waste and require high environmental standards of our suppliers. We also only use environmentally certified products for laundry and cleaning. We refuse to accept palm oil in any products and only serve organic wine. In April 2010, we contributed with other hotels to making Sigtuna a climate-neutral destination. We compensate for our carbon emissions by planting trees. In 2016, we compensated for 30 tonnes of carbon dioxide by planting trees with small farmers in Malawi. In addition to the climate benefits, this contributes to social values and valuable ecosystem services. It goes without saying that you can charge up your electric vehicle in our car park.